Home » News, Safety Padding	» 4 Key safety padding characteristics teachers should know about. 4 Key safety padding characteristics teachers should know about. 4 Key safety padding characteristics teachers should know. Number One. Fit for Purpose. To provide the most appropriate safety padding solution in terms of density, foam thickness, covers and fixing methods, teachers should be clear about what the safety padding is required for. 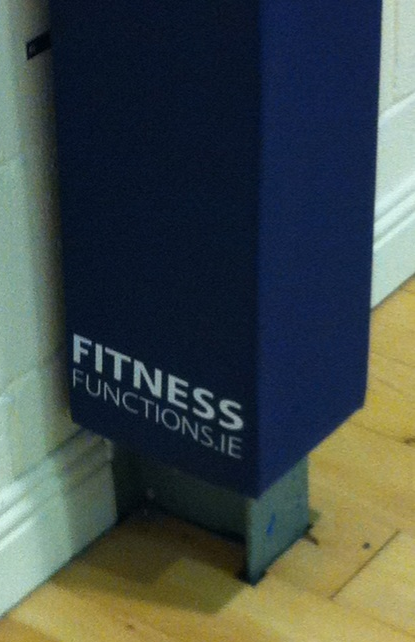 For example, is it padding to suit school radiators or padding at the end of a sports hall wall used for sprinting? Number Two. Safety Padding Fitting & Installation. These are the main factors we consider when advising a school on our safety padding installation services. Number Three. Safety Padding Leads Times. Our standard safety padding such post padding for basketball or rugby posts are normally in stock and delivery would be with 2-3 days. Our made to measure or customised safety padding solutions for schools would require that we firstly visit the school, and follow up with a quotation. If the school is satisfied and places an order we get ready to start manufacturing their safety padding. The process to this point can be done within 2 weeks. The safety padding manufacturing process usually requires 1-2 weeks and this then ready to be either supplied or installed. Our safety padding can be supplied within a week but for the installation service we ask schools to allow approximately 2-3 weeks for scheduling. To summarise, from initial school contact the supply of our customised safety padding requires 4-5 weeks. If our installation service is required, the whole process requires a total of 7 weeks, under normal conditions. Number Four. Range of Colours & Finishes. Without question the priority of safety padding in the school environment is of a functional nature; protection of children, staff and school property. That said, there’s no reason that your safety padding shouldn’t be aesthetically pleasing and finished in a way that fits seamlessly into the school environment. We have a range of safety colours, materials and finishes which we advise from.